FAQ: How Can I Establish Paternity in Orange County California? All parents and children in California have certain rights because of their relationship. A parent in California also has a duty to support his or her child financially. Paternity, or parentage, comes into play when it comes to enforcing those rights, especially in cases where paternity is unknown or has not been legally established. Legally, there are several reasons why establishing paternity can be important for both parents and for a child. Depending on your family situation, legally establishing paternity can require no action on your part, or it can involve a complex legal trial and genetic testing. If paternity was not established when your child was born or soon after, you may need to speak with an attorney regarding the establishment of paternity in your case. What does Parentage and Paternity mean? Paternity, or parentage, in the legal world, refers to the legal relationship between a parent and a child, or a father and a child. Legally, there is little difference between parentage and paternity, except that parentage refers to both parents, including mother and father, while paternity simply refers to the father. Maternity, on the other hand, refers only to the mother. For the sake of this blog post, we will be focusing on paternity more than on maternity, but there are some things that will be mentioned that apply to both mothers and fathers. I do not understand why Establishing Paternity is so important in California? When paternity has been established, it allows certain legal rights and obligations regarding the relationship between a father and a child to be enforced in California. These rights include the right to custody of a child or the right to visitation with a child. Legal obligations, like child support, can also be enforced once paternity has been established. Establishing paternity is important for all parents, all children, and for the State of California. Legally establishing the relationship between a parent and a child allows the state to ensure that children are receiving financial support from their parents, which means that the state will not have to support them. California provides a Local Child Support Agency in every county in California to ensure that children are taken care of in this way. Your local child support agency can help you establish paternity if necessary, often at a lower cost to you than you might incur while working with an attorney or attempting to legally establish paternity on your own. 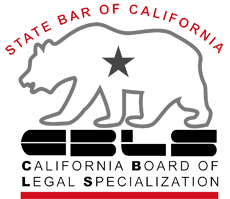 However, a local child support agency works on behalf of the State of California and the child, and does not provide free legal services. If you are interested in obtaining the best for your child, regardless of the consequences for you, contact your local child support agency. A child can benefit in numerous ways from having a legally established relationship with both parents. If you are a parent and your child is not receiving financial support from either you or your child’s other parent, or if your child does not have a relationship with you or with his or her other parent, the following are reasons why you should take the first step in establishing paternity legally in California. Establishing parentage allows a child support order to be created and enforced. Every child has the right to receive financial support from both of his or her parents so that the child can have the best life possible. Establishing parentage allows a child to have legal documents that include the names of both of his or her parents. This can be important as a child grows, so that he or she can have a complete birth certificate, access to a family history, including health history, and may play a role in certain requirements necessary for obtaining things like security clearance in a future job. Establishing parentage allows a child to receive the best insurance from both parents, from health insurance to life insurance. It can also make things easier if either parent should die, for the child to inherit. Establishing parentage allows parents to legally enforce their right to custody or visitation, which allows a child to spend time with both parents, and either establish or maintain a relationship with them. This can play a vital role in a child’s development. A father can benefit in several ways by establishing paternity. The most notable benefit is the right to implement or enforce a child custody or visitation order. The terms of the order will depend on the specific relationship between the father and the child, but every father has the right to spend time with a child once paternity has been legally established. Establishing paternity also means that a father is required to pay child support. However, the sooner that paternity is established, the sooner the father can start paying child support. Paying now rather than later means avoiding interest and other consequences of failing to pay child support. Establishing parentage is also the right of a legal father. If a mother is not financially supporting her child, a legal father has the right to create or enforce a child support order that requires the child’s other parent to pay child support as well. A father who has custody of his child may wish to enforce the child support order requiring the other parent to pay. What are some ways I can Establish Paternity in California? I need to learn how to Establish Paternity for my family law case in California. There are several ways to establish paternity in California. If two people are married either at the time the child is conceived, or at the time that the child is born, those two are assumed to be the child’s parents. Once the child is born, both will have all of the legal rights and obligations that a parent has in California. When the parents are not married, establishing paternity can be a little bit more complicated. The easiest way to establish parentage is through a Voluntary Declaration of Paternity, but there are several other options. A voluntary declaration of paternity is a form that two parents can sign, voluntarily, when a child is born. Signing one in the hospital allows the father’s name to be placed on the original birth certificate, and allows the parents to avoid going to court to establish paternity. Voluntary declarations of paternity can also be signed later. If this is the case, it needs to be signed at a local child support agency, the registrar of births, at your local court with the family law facilitator, or at a welfare office, or the signing must be witnessed by a notary public. Once signed, it needs to be filed with the California Department of Child Support Services Paternity Opportunity Program. If it has been signed after a child’s birth certificate was issued, the parents can request a new birth certificate with the names of both parents. Signing a voluntary declaration of paternity means that both parents are giving up certain rights, including the following. • The right to hire a lawyer to represent you in a paternity case. The only way to reverse the signing of a voluntary declaration of paternity is through filing a Declaration of Paternity Rescission. This form will need to be filed with the Department of Child Support Services no more than 60 days after signing the voluntary declaration of paternity. If you do not sign a voluntary declaration of paternity, you or the child’s mother may take the case to court on your own, or either parent may request that the local child support agency begins a case. To do so on your own, you should contact an attorney for assistance. When it comes to the rights and responsibilities associated with paternity, both you and your child have a lot at risk. A paternity case may simply require paperwork, but it may require you to appear before a judge. If you choose to work with your local child support agency, you will not need to file your own case. 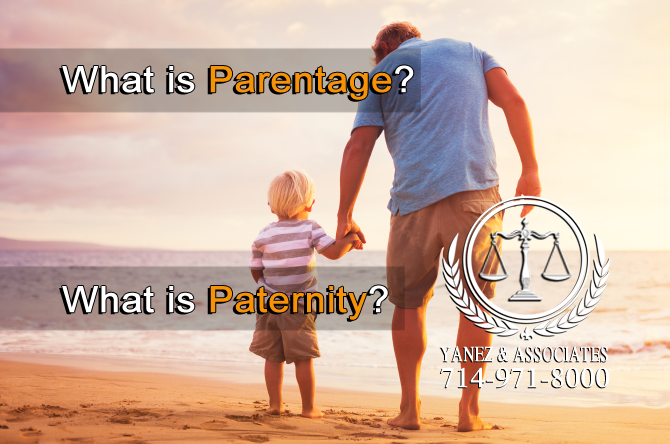 If you have ever asked yourself, How Can I Establish Paternity in Orange County; perhaps it is time to contact our Orange County Parentage Lawyers - We’re Here to Help! Need help Establishing Paternity in Orange County, call us to schedule your free consultation. If you have questions about paternity, whether you know you are the father, you are unsure you are the father, you wish to exercise your parental rights, or you are being asked to pay child support for a child, contact an attorney to discuss your options. This brief overview is not a comprehensive guide to paternity in California. Contact the lawyers at Yanez & Associates in Orange County to schedule your free initial consultation today. 2 What is Parentage? What is Paternity? 3 Why is it Important to Establish Paternity in California? 4 What are some ways I can Establish Paternity in California? 5 If you have ever asked yourself, How Can I Establish Paternity in Orange County; perhaps it is time to contact our Orange County Parentage Lawyers - We’re Here to Help!